He lettered in football, basketball and baseball at Bristol Central. He was captain of the baseball team as a member of the class of 1968 and played on Zone One Bristol American Legion championship teams in 1967 and 1968. He was captain on his college team at SCSU and played on several Bristol teams on all levels through the years, including championship teams in both the Greater Hartford Twilight Baseball League and Connecticut Men’s Senior Baseball League. His lengthy sports rich resume includes coaching both basketball and baseball at Bristol Eastern High, having won league titles in both sports. Eastern’s 1986 baseball team captured the Class L state crown. He’s won numerous individual honors as an athlete, including being named the CMSBL’s “Player of the Year” in 1989. In 2009 he was selected as the Outstanding Connecticut high school baseball coach of the year. In 2014 he was selected “High School Coach of the Year” by the CT State American Legion Baseball. 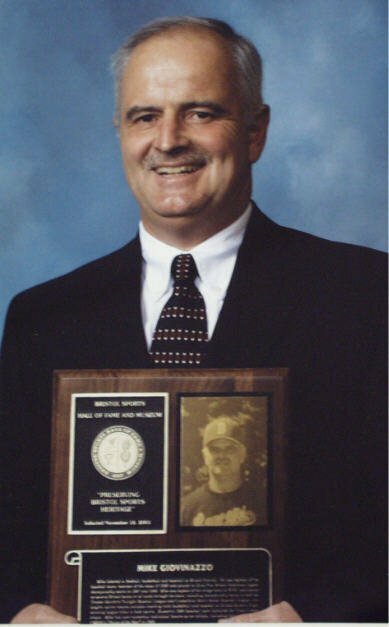 In 2015 he was inducted into the “Connecticut High School Coaches Association Hall of Fame”.